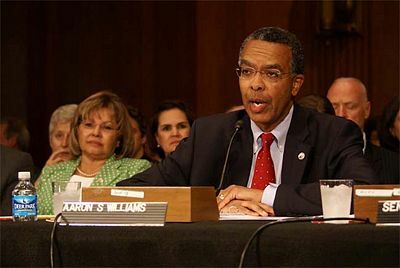 President Obama announced his nomination of Aaron Williams to be Director of the Peace Corps on July 14, 2009, the Senate voted to confirm Williams on August 7, 2009, and Williams was sworn in as Director on August 24, 2009. Williams served as a Peace Corps Volunteer in the Dominican Republic from 1967 to 1970. President Obama announced his nomination of Aaron Williams to be Director of the Peace Corps on July 14, 2009, the Senate voted to confirm Williams on August 7, 2009, and Williams was sworn in as Director on August 24, 2009. Williams served as a Peace Corps Volunteer in the Dominican Republic from 1967 to 1970. Williams has over 25 years of experience in the design and implementation of worldwide assistance programs. As USAID Mission Director in South Africa, Williams led a billion dollar foreign assistance program during President Nelson Mandela’s administration. In addition to his work in South Africa, Williams has extensive experience in the strategic design and management of assistance programs in Latin America, Africa, Asia and the Middle East; including long-term assignments in Honduras, Haiti, Costa Rica, and Barbados and the Eastern Caribbean islands region. Williams said in his confirmation hearings that he "grew up in a modest home on the south side of Chicago." Williams says that Mr. Calwell, his geometry teacher in high school had a big influence on his life. "I was one of his star geometry pupils. I loved geometry. And he said 'You know, you can do anything you want to do in this world. You have the kind of mind that can take you to different heights. You just have to focus.' And I said 'This is just geometry, Mr. Calwell.' He said, 'Aaron, I'm telling you, look beyond that, all right?' He said it in a very calm, reassuring way, as if to say 'Didn't you know that?'" Williams is a graduate of Chicago State University with a BS in Geography/Education. Williams has an MBA in Marketing and International Business from the University of Wisconsin. Williams served as a Peace Corps Volunteer in the Dominican Republic from 1967 to 1970. 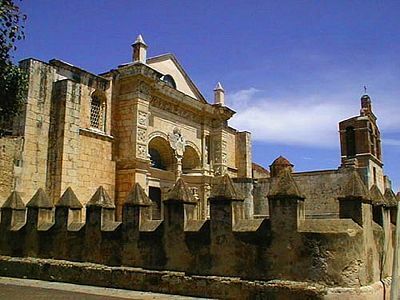 Photo: The Oldest Church in the Americas at Santo Domingo, Dominican Republic. Williams first became interested in the Peace Corps after hearing John F. Kennedy's speeches. Williams decided to do some research into the organization. Williams was initially inspired to join the Peace Corps by someone he knew who joined the Peace Corps and served in Jamaica which gave him the confidence to follow the same path. "I was just absolutely fascinated about what she told me she did. And I said, 'Hey, this is a person just like me - went to this college, was a teacher, went to the Peace Corps.' I said 'I'm gonna do that. I'm going to try Peace Corps and see if it can broaden my horizons." In the 1960s it was unusual for someone with Williams' background to take an interest in the Peace Corps. "No one had ever left Chicago from my family unless they went to the Army. So, why should I do this?" Williams best friend Harry Simmons, while not understanding Williams' decision entirely, thought it was interesting. Williams mother, Blanche Green, was one of the few people who supported Williams' decision to join the Peace Corps. Williams' mother later visited him in every post where Williams served. Williams said during his confirmation hearings that his only regret was that his mother did not live to see the day that Williams was appointed Peace Corps Director. "She was the first person in my life who saw the value and importance of serving in the Peace Corps." Williams served as a Peace Corps Volunteer in the Dominican Republic from 1967 to 1970. "I would have to tell you that from the first day I went in the Peace Corps training, I was certain that this was something I wanted to do. The Peace Corps changed my life forever. As they say in the Peace Corps recruitment, it's the toughest job you'll ever love and it's extraordinary. It changed the way I look at the world and it created the basis for my career as it has developed until today. It introduced me to the world of another culture. I learned how to speak and work in a foreign language. I really tested myself in ways that I never thought I would be tested." As a Peace Corps Volunteer, Williams taught rural schoolteachers seeking a high school diploma. After that Williams began working on curriculum development with the Ministry of Education. Williams finished his service in the Dominican Republic teaching a new teacher training course at Universidad Madre y Maestra, the first private university in the Dominican Republic. After Williams completed three years service as a Peace Corps Volunteer in the Domincan Republic, Williams returned to the United States to work on Peace Corps staff as the Coordinator of Minority Recruitment and Project Evaluation Officer. Williams worked for the Peace Corps out of their Chicago office from 1970 to 1971. Williams visited universities across the country, speaking about Peace Corps and his experience. Williams says that serving as a Peace Corps Volunteer had a big influence on his life and that after working for the Peace Corps he knew "that the world was a much bigger place, and I wanted to be part of that bigger world." Williams estimates that ninety percent of his friends are Peace Corps related in some way. "Either we served together, or I met them through Peace Corps linkages, or they were in AID and were part of the Peace Corps before, which is not unusual. It's a pretty high caliber of people you meet in the Peace Corps. I happened to be with a group that was really extraordinary in terms of what they've done in their careers in public service; senators, newspaper columnists, heads of major NGOs, all involved in some degree of public service, lots of corporate executives." "The Peace Corps opened the door to another world for me," said Williams during his confirmation hearings. "and what an extraordinary opportunity it was. I returned from the Dominican Republic to my hometown where I became a recruiter and coordinator of minority recruitment for the Peace Corps in the Chicago regional office. If confirmed to be Director of the Peace Corps, it will indeed be a homecoming. I firmly believe in the strength of grassroots organizing and the impact of creating sustainable health, education, and environmental practices one community at a time." Through the contacts Williams made recruiting for the Peace Corps, Williams was offered a fellowship to pursue his MBA. "I suspected that an MBA would be a good bridge to both public and private sectors and I thought it would be very useful to get some good business experience as part of my career development." 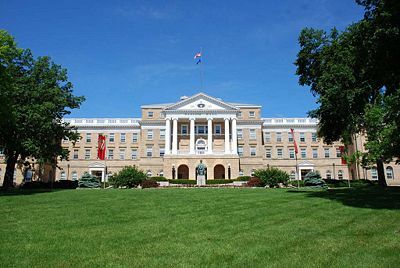 Upon completing his MBA in international business and marketing at the University of Wisconsin, Madison, Williams was offered numerous jobs with large multinational companies including Exxon, Proctor and Gamble, General Foods, and Johnson & Johnson. Williams decided to work for International Multifoods, a diversified industrial food company because it offered him the opportunity to work closely with International Multifoods CEO Ted Rugland. Williams says that Rugland was a good mentor. "Ted Rugland was from that famous class of 1949 Harvard Business Schook, were somehting like ninety percent went on to become CEOs of Fortune 500 companies. He said something no one else did. He said 'I'm going to give you a chance to look at this company at the highest possible level, working with me. But if you fail, I'm going to throw you out, whether it's thirty days or sixty days, you're out." Williams went on to become Rugland's right hand man and worked on sales forecasts, potential mergers, and later on the downsizing of the company itself. After working for International Multifoods for two years, Williams decided he wanted to work in consumer brands marketing. Williams went to work for General Mills. There Williams worked with solid mentors, including "one of the smartest guys I ever worked for, Steve Sanger (CEO of General Mills), and I gained a lot of insights from him." At General Mills, Williams worked in a very competitive environment with responsiblity for meeting sales forecasts. "At the same time, it was an era where there were very few minorities in management in any of these professions, and I often found myself being the first this and the first that, and was driven to excel in all aspects of my work." Williams career was going well at General Mills but Williams decided he wanted to work in the international arena, and in the mid-1970s there were few opportunities available for Americans to work overseas in a large company because most Fortune 500 companies preferred to hire local employees from their countries of operation who had been educated in the United States. "So I said, 'I'm sitting here with all these language skills, all these cross-cultural skill. I want to be able to use them.'" Then someone who Williams knew from Peace Corps Honduras called to ask Williams if he would be willing to come back to do some work in Honduras for USAID. Williams took a leave of absence to help design an agribusiness project as a consultant for the USAID mission to Honduras. Williams says at the beginning of his career he placed a higher priority on his ability to learn from good leaders and managers than he did on salary, benefits, or location. Williams says he was mentored and also learned by example during his work at USAID. James Michel, former Ambassador to Guatemala, was the USAID Latin America Bureau Chief when Williams became Deputy Director. Williams learned from Michel, incorporating some of Ambassador Michel's management style into his own and eventually assumed his position. "Everyone had a fair hearing. No one felt that they didn't have a chance to present their views on any given issue, and he listened very carefully and listening is a very important part of being a good leader." Williams' first assignment with USAID was in Honduras. The traditional banana companies were eager to diversify their agribusiness and had the technical staff, refrigerated shipping, and knowledge to move away from their main product line in bananas. The problem was that the banana businesses were hated at the time and their had been a series of scandals so neither the Hondurtan government nor the US Embassy were eager to work with them. "So I figured out a way to bring these three parties together," says Williams. "It was a perfect time to be there, and I got superb guidance and enocuragement from my first boss in USAID, Tony Cauterucci, one of USAID's legendary executives." This was the beginning of USAID's work in public-private partnerships. "They didn't even call it that," says Williams. It was 'working with business' or 'private sector development.' And not many people in AID knew how to do that. A lot of the AID people were ex-Peace Corps volunteers who were into the social development side and had degrees in anthropology, sociology, and development economics. They had little or no business experience. And I knew how compnaies operated and how business executives thought." 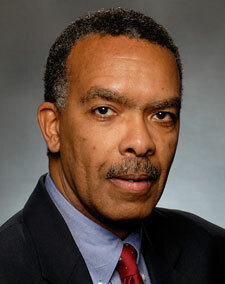 Williams was a senior manager at the US Agency for International Development (USAID). Williams attained the rank of Career Minister in the US Senior Foreign Service at USAID. In his role as a senior USAID manager, Williams provided policy and program leadership to major government organizational units, both in headquarters and field assignments (e.g. Bureau for Latin America and the Caribbean, and a $1 billion bilateral assistance program in South Africa. Williams has led project design teams in several countries, working in Latin America and the Caribbean (LAC), Africa, and Asia. 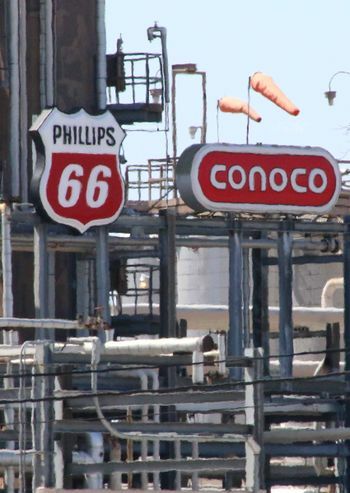 Williams created and managed innovative public-private partnerships between global corporations, government entities (USG and host country), nongovernmental organizations (NGOs), and international foundations. 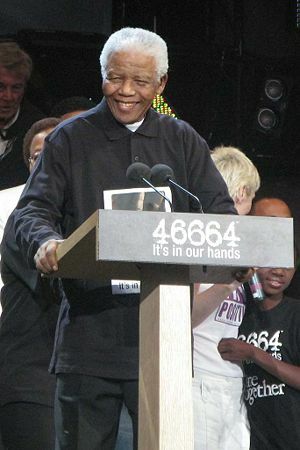 As USAID Mission Director in South Africa, Williams led a billion dollar foreign assistance program during President Nelson Mandela’s administration. In South Africa, Williams says he benefited from the leadership style of Ambassador James Joseph, who set a climate for teamwork. "South Africa in those days was like Paris or Rome or London, that size of an embassy. Fifteen different agencies on the country team, all vying to show how they're furthering the United States' support of Nelson Mandela and his Cabinet. Those are conditions where you could have had a lot of interagency rivalries and battles, but none of that occurred because the Ambassador set the tone and provided leadership, so that we all worked together as a team." Williams was offered an ambassadorship and had underwent the background checks for his nomination to go forward. However, Williams decided to retire from government service for personal reasons. "At that time I had an extraordinary offer that just kind of appeared as I was going through this emotional crisisof , what was I going to do?" says Williams. "I was thinking 'Okay, I'll just move back to Washington and get another senior position in AID.' And then this opportunity came to continue to do things I've always been doing, which was building public-private partnership." Williams decided to become Executive Vice-President at the International Youth Foundation (IYF). As Executive Vice President at the International Youth Foundation, Williams established innovative public-private partnerships around the world. At the International Youth Foundation, Williams created and managed innovative public-private partnerships between global corporations, government entities (USG and host country), nongovernmental organizations (NGOs), and international foundations. Williams says that IYF's mission was to "improve the lives of young people wherever they live, learn, work, or play. What better thing to do than that? They wanted me to develop corporate partnerships for them, and to work with AID and the World Bank. It just seemed right up my alley. I had always been planning on going into the nonprofit world because I'd worked for business; I'd worked in government; so now I wanted to complete my professional circle, and focus ont eh third sector. It just all came together." Williams worked for IYF for four years but decided to leave in 2003 for personal reasons because he was traveling 70 percent of the time. "I just didn't want to spend that much time away from my wife and my home," says Williams. "I decided I needed to do something about the travel, but I wanted to do somethings that's consistent with my career, that would give me the opportunity to continue to work in international development." Williams left IYF to become Vice President for International Business Development for RTI International. 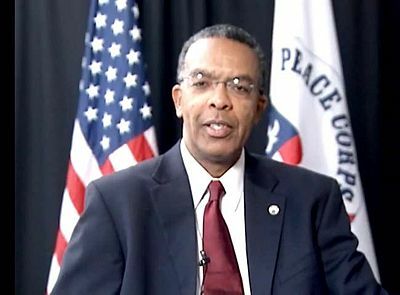 Prior to his nomination as Peace Corps Director, Williams was a Vice President for International Business Development with RTI International. At RTI Willaims led the representational efforts, working with RTI's senior management team and other staff in expanding RTI's involvement in the international development community's dialogue regarding policy and programs concerning the USG and other multilateral donor assistance programs. Related to these efforts, Williams provides leadership in the development of strategic partnerships with other international organizations and global corporations involved in international development activities. In 2003 Williams led the RTI team that went into Iraq to aid in local governance. On April 23, 2003, RTI sent an advance team to Kuwait expecting to have about a month to organize before entering Iraq. Instead, US AID immediately ordered RTI to move into the country. The first group of RTI contractors crossed the boarder, headed for Basrah, while the second set out for Baghdad to help create the capital city council. 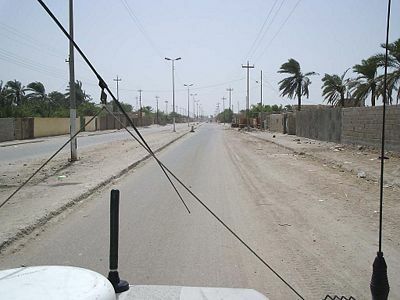 Within a week of getting the "go order," the first RTI team, driving Chevy Suburbans loaded with tents, fuel, food, satellite phones, and office supples, pulled into Basrah, the largest city in southern Iraq. What they found was a disaster - public offices stripped of all furnishings, widespread looting, and no basic services. The British forces controlling Basrah asked RTI to engage immediately with the city's provincial council. Williams consulted with the local Shia leaders ont he councils "to determine what their priorities and needs were." The team sought out Iraqi technocrats to help determine the levels of aid necessary for rehabilitation. The challenges of stability and reconstruction operations in fragile and post-conflict states have become a major focus of U.S. foreign policy today and Williams is considered an expert in strategies for post-conflict governance restoration. "Building good governance is both the linchpin and the puzzle to successfully restoring peace and stability in these settings, and moving towards a society that provides citizens with security, effective services, and legitimate institutions," says RTI International in their Fellow Seminar Series. On May 11, 2009 Williams moderated a forum on "Restoring Governance in Conflict-Affected Countries: Extending Hard Lessons Learned", at the Newseum presenting lessons learned and the implications for current foreign policy and for stability and reconstruction operations. Williams attended a meeting sponsored by the U.S. Center for Citizen Diplomacy in October, 2008 with 40 US leaders from more than 90 organizations involved in international affairs and said he wants to expand the opportunities for more Americans to get engaged. "When an American meets someone from another country, the real communication that takes place is the best possible citizen diplomacy that we can ever imagine," said Williams. "Through person-to-person exchange of ideas, Williams says, "[citizen diplomats] find that in reality we are more alike than we are different." Williams says that before people trust you with responsibility, you have to prove that you can handle it. "First be prepared to do the grunt work. I've always felt whenever I assigned anybody to do something, 'I've done that myself. It's not like I'm telling you to do something I don't know, how long it's going to take, how hard it is. I've done it.' You know, I've sat down and done the logframe. I've gone in there and negotiated the project agreement with the minister who didn't want to hear it. I've been through all that stuff. So, therefore, I'm not asking you to do something I haven't been willing to do myself. That's number one. A leader needs to have that credibility. I don't want to work for somebody and think, 'They have no idea of what it's going to take to get this job done.'" President Obama announced his nomination of Aaron Williams to be Director of the Peace Corps on July 14, 2009. President Obama said, "America was built on a belief that the best progress comes from ordinary citizens working to bring about the change they believe in. Through a lifetime of service, Aaron Williams has embodied the very best of that American ideal. I am grateful for his service and honored to nominate him to direct the critical work of the Peace Corps. Photo: Composite of Aaron Williams and the White House created by Hugh Pickens for Peace Corps Online. 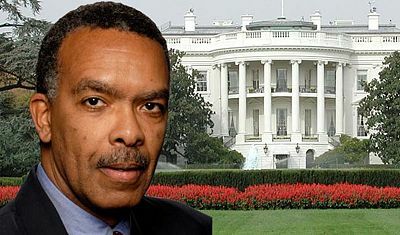 On December 1, 2008 the Council for a Livable World reported that Williams had been appointed the Review Team lead of President Obama's Transition Team for Foreign Assistance encompassing USAID, MCC and PEPFAR. Other members of the team were Gayle Smith, Frederick Barton, Wendy Chamberlin, Valerie Dickson-Horton, Sheila Herrling, and Larry Nowels. The Office of the President Elect announced that Williams was one of the National Security Team leads heading up the Review Team for Foreign Assistance (USAID, MCC and PEPFAR). The purpose of the Agency Review Teams for the Obama-Biden Transition was to complete a thorough review of key departments, agencies and commissions of the United States government, as well as the White House, to provide the President-elect, Vice President-elect, and key advisors with information needed to make strategic policy, budgetary, and personnel decisions prior to the inauguration. The Teams ensured that senior appointees had the information necessary to complete the confirmation process, lead their departments, and begin implementing signature policy initiatives immediately after they are sworn in. The Kaiser Network reported on May 28, 2009 that Williams had been one of the [p]reviously rumored contenders for the USAID administrator job." On August 24, 2009, Foreign Policy Magazine speculated that even though Williams had already been sworn in as Peace Corps Director he might still be a candidate to head up USAID. "Who is being considered for US AID administrator now that the leading candidate Paul Farmer has moved on? Sources in the development community and on the Hill say they are hearing that it is likely to be a safe candidate, someone already in place in the administration and possibly confirmed for something else. Sources have speculated on the names Aaron Williams, a former senior US AID official who has just gotten into place as director of the Peace Corps..."
On June 10, 2009 Al Kamen wrote in the Washington Post that Williams along with Frank Fountain, a senior executive at the Chrysler Group, were leading contenders for Peace Corps Director. On July 14, 2009 President Obama announced his nomination of Aaron Williams to be Director of the Peace Corps. President Obama said, "America was built on a belief that the best progress comes from ordinary citizens working to bring about the change they believe in. Through a lifetime of service, Aaron Williams has embodied the very best of that American ideal. I am grateful for his service and honored to nominate him to direct the critical work of the Peace Corps. On July 27, 2009 Peace Corps Polyglot reported that the Senate Foreign Relations Committee has scheduled William's confirmation hearing for July 29, 2009 and that the hearings were scheduled at the request of the White House. On July 27, 2009 John Coyne reported on "Peace Corps Worldwide" that former Senator Harris Wofford would be introducing Williams at the hearings. The Senate confirmation hearings for Aaron Williams were held on July 29, 2009. Williams said during his opening statement at the hearings that the Peace Corps faced old and new challenges. "Poverty, disease, famine, and illiteracy are issues that continue to challenge developing countries, and in some cases are exacerbated by current problems like climate change, government instability, and terrorism. The work of Peace Corps Volunteers is not easy, but it is substantial. Living and working in communities around the world for twenty seven months creates hope and a cross-cultural understanding that is incomparable to any other life experience." Williams said that Volunteer health, safety, and security would remain an agency priority under his administration. "There are inherent dangers in serving overseas, but with quality training, a committed staff, and clear systems in place, the health, safety, and security of Peace Corps Volunteers will be assured in a manner that allows enough openness for Volunteers to truly become a part of the community in which they serve." Williams said that he would make the third goal a priority. "I know the relationship the agency has with the Volunteers does not end with their arrival home. This commitment is a fundamental part of advancing the Third Goal in helping to promote the better understanding of other peoples on the part of Americans. The returned Peace Corps Volunteer brings his or her experience into American classrooms and community centers. The returned Peace Corps Volunteer serves in health clinics, leads small businesses and large corporations, and diligently works in development and humanitarian organizations around the world. The Third Goal is a vital commitment for the Peace Corps family. If confirmed, I will foster the united strengths of returned Peace Corps Volunteers to continue contributing their time and energy on projects that benefit communities in the United States." Senator Dodd asked Williams about the allocation of scarce resources for the Peace Corps. Dodd asked how do we manage scarce resources? "What are the criteria for determining whether a country should have a program. Does it make sense that the Peace Corps has a program in Vanuatu and Fiji but not in Indonesia or Brazil - is there a reason for that." Williams answered that we need to look at the Peace Corps in a new light. That volunteers are wonderful ambassadors of humanitarian assistance and that we need to know more about the countries where volunteers serve. Williams said that he has not had a chance to look at the criteria for selecting countries where the Peace Corps will have programs but that he wants to work with the US State Department and look at all aspects of the country selection process. Dodd, who presided over the hearings, said that he looked forward to partnering with Williams "as we undertake the important task of building a stronger, more effective Peace Corps for the next generation of Americans" and concluded the hearings by saying that he hoped to move things along with Williams' nomination before the August break and hopefully get him confirmed before everyone disappeared in August. Williams was on the agenda of the full Senate Foreign Relations Committee for approval on August 4, 2009. The LA Times reported that on the last day before the Senate adjourned for the month long August recess, the Senate voted to confirm Williams as Director of the Peace Corps. Williams is sworn in as Peace Corps Director on August 24, 2009. On his first day as Director, Williams issued a memo to the Peace Corps community introducing himself and saying he would immediately move forward to address the challenges the agency faces. "This morning I was sworn in as the 18th Director of the Peace Corps. While preparing for this day, I decided that the first thing I wanted to do was to take a moment to introduce myself to the Peace Corps community and thank you for everything you have done and continue to do," wrote Williams. "This is my first day at Peace Corps headquarters since my nomination in early July. I am truly excited and honored to be here. In these first few weeks, I will be spending time getting to know many of you, listening to your ideas, and getting reacquainted with this agency that has meant so much to all of us. We'll immediately move forward addressing the challenges - both old and new - the agency faces." 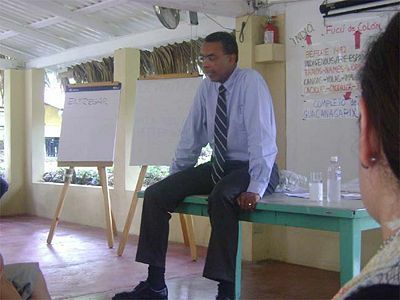 Williams meets with Peace Corps Volunteers in the Dominican Republic on September 2, 2009. From August 29 to September 2, 2009 Williams made his first trip overseas as Peace Corps Director to the Dominican Republic where he had served as a Peace Corps Volunteer in the 1960's. Williams met with Dr. Rafael Alburquerque, the Vice President of the Dominican Republic. While in the Dominican Republic, Williams met with Peace Corps Volunteers and spoke to them about his experience in the Peace Corps. One volunteer write that "I had absolutely no idea what to expect after being told that the International Director was to visit with us. My natural assumption was that some old, albeit important, man was going to come and share his slightly dated and/or mundane ideas with a group full of twentysomethings. What we got was anything but that. Director Williams, fresh off his appointment by President Obama, was young, engaging and, most of all, inspiring. He took our questions, ate lunch with us and took the time really listen to us and not simply talk at us. To hear his story as to why he joined the Peace Corps decades ago and how it changed his life for the better very much reinforced the reasons I am here. He has been right here in our shoes as a PCDR trainee and future volunteer. His visit as a real treat and a dose of inspiration to take with us into our service." Williams was awarded the USAID Distinguished Career Service Award in 1998. Williams was awarded the Presidential Award for Distinguished Service in 1988 and 1992. Williams is a member of the Council on Foreign Relations. Williams serves on the Advisory Board of the Ron Brown Scholar Program. Williams serves on the Board of Directors of CARE. Williams serves on the Board of Directors of the National Peace Corps Association. Wiiliams has been a member of the Board of Directors of the Cisco Learning Institute (Cisco Systems Corporation). Williams has been a member of the Intel Corporation's Clubhouse Advisory Panel. Williams has been a Board member of the Institute for Sustainable Communities. Williams has been a Board member of the Pan American Development Foundation. Williams has been a board member of the Society for International Development- Washington D.C.
Williams is on the Advisory Board of the Ron Brown Scholar Program. Williams contributed $2,500 to the Obama Victory Fund on October 15, 2008, $1,000 on October 2, 2008, $500 on September 30, 2008, $1,000 on November 24, 2007, $500 on September 27, 2007, and $1,000 on March 18, 2007 for a total of $6,500. Williams contributed $250 to the "Bobby Scott for Congress on July 24, 2007. About halfway through his service in the Peace Corps in the Dominican Republic, Williams met his wife Rosa, a Dominican, who was studying medicine and was a high school science teacher. Williams and his wife spent the first year of their married life in the Dominican Republic. Williams has two sons Michael and Steven. 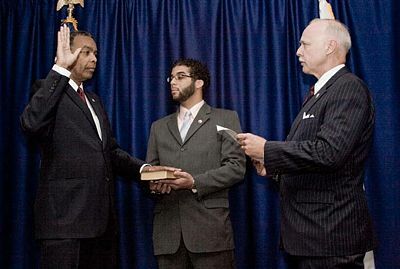 Williams said at his Senate confiramtion hearings on July 29, 2009 that his son Michael is a physician in Georgia and that his son Steven has just been accepted to serve in the Peace Corps. Williams lives in Reston, Virginia. Williams is fluent in Spanish. Senate Confirmation Hearings for Aaron Williams to Become the 18th Director of the Peace Corps Peace Corps Online. July 29, 2009. Williams greets the Peace Corps community in a video presentation on YouTube on August 24, 2009. ↑ 1.00 1.01 1.02 1.03 1.04 1.05 1.06 1.07 1.08 1.09 1.10 1.11 1.12 1.13 1.14 1.15 1.16 1.17 1.18 1.19 1.20 1.21 1.22 1.23 1.24 1.25 1.26 1.27 1.28 1.29 1.30 1.31 1.32 White House Press Release. "President Obama Announces Intent to Nominate Aaron Williams as Director of the Peace Corps" July 14, 2009 Note: This White House Press Release is a product of the US Federal government and is in the public domain. ↑ 2.0 2.1 2.2 LA Times. "US Senate confirms Obama nominees for ambassadors to China, Japan" by Foster Klug. August 7, 2009. ↑ 3.0 3.1 3.2 3.3 3.4 Peace Corps Press Release "Aaron S. Williams Sworn in as Peace Corps Director" August 24. 2009. ↑ 4.00 4.01 4.02 4.03 4.04 4.05 4.06 4.07 4.08 4.09 4.10 4.11 4.12 4.13 4.14 4.15 4.16 4.17 4.18 Peace Corps Online. " Senate Confirmation Hearings for Aaron Williams to Become the 18th Director of the Peace Corps " by Hugh Pickens. July 29, 2009. ↑ 6.0 6.1 6.2 RTI International. "Aaron Williams Biography"
↑ 10.00 10.01 10.02 10.03 10.04 10.05 10.06 10.07 10.08 10.09 10.10 10.11 10.12 National Peace Corps Association. "Aaron Williams"
↑ 13.0 13.1 13.2 13.3 13.4 13.5 13.6 13.7 13.8 13.9 Hard Lessons: The Iraq Reconstruction Experience by Stuart W. Bowen, Jr. nspector General, February 2, 2009. ↑ 15.0 15.1 15.2 15.3 15.4 15.5 15.6 RTI International. "Aaron Williams Joins Advisory Committee on Voluntary Foreign Aid" February 28, 2007. ↑ 16.0 16.1 16.2 RTI International. "Experts to Address Restoring Governance in Conflict-Affected Countries at May 11 Forum" May 4, 2009. ↑ 17.0 17.1 17.2 VOA News. "Citizen Diplomats Seek President's Initiative" by Susan Logue. October 30, 2009. ↑ 18.0 18.1 Council for a Livable World. "Obama Administration: Key Positions"
↑ 19.0 19.1 19.2 The Office of the President Elect. "National Security Team Lead"
↑ Kaiser Network. "Farmer Still Under Consideration for Obama Administration Position, Takes Harvard Medical School Appointment" May 28, 2009. ↑ 21.0 21.1 Foreign Policy. 'Short takes: Clinton on Goma, OMB budgets coming due, human rights/int'l appointments, USAID chatter" August 24, 2009. ↑ Washington Post. "Corps Values" by Al Kamen. June 10, 2009. ↑ 23.0 23.1 23.2 Senator Chris Dodd. 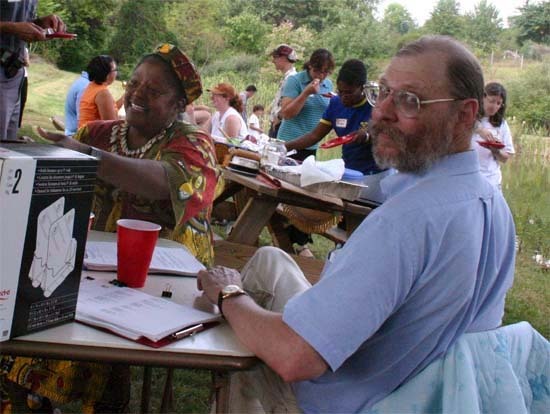 "Dodd Statement on Nomination of Aaron Williams to be Peace Corps Director" July 14, 2009. ↑ Peace Corps Polyglot. "Peace Corps Director Confirmation Hearing Set" by Erica Burman. July 27, 2009. ↑ Peace Corps Worldwide. "Harris Wofford to Introduce Aaron Williams at Senate Hearing on the next Peace Corps Director" by John Coyne. July 27, 2009. ↑ 27.0 27.1 27.2 Peace Corps Online. "Greetings from Director Williams" August 24, 2009. ↑ 29.0 29.1 29.2 Personal Web Site. Peace Corps Volunteer "Fireworks and Hurricanes" writes: "Inspiration" September 2, 2009. ↑ Ron Brown Scholar Program "Aaron Williams"
This page was last modified on 6 April 2018, at 17:36. This page has been accessed 162,791 times.